Whenever we engage in short term missions, the question arises about what kind of impact was made and whether or not it was worthwhile. Let me answer that question here. In the space of two weeks, we were able to share with the city of Assis, Brazil about the work that Open Arms has done and is doing among the children of this city and throughout the region in the name of Jesus, via radio (nearly a dozen interviews, four of them with the guys from the band), television (2 stations), newspapers (3 papers published 6 quarter page stories), the schools (2 grade schools, 1 technical school and one university) and all culminating in a concert before a very enthusiastic crowd. 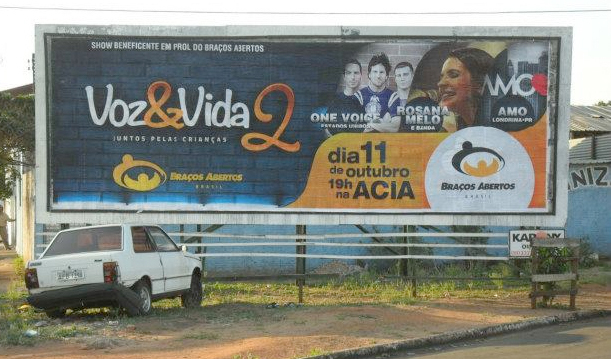 Several billboards throughout the city advertized the Voz & Vida event. Look closely and you may see some familiar faces! This massive exposure was in large part due to the participation of five very humble servants of Christ from Reston Bible Church. Erik & Elisa Palmer, Jesse Trask, Brian St. Andre and Carter Keeton took Assis by storm and left here with a city full of new friends, and fans. Besides their busy promotion schedule during their week in Assis, they came prepared to work with our kids at their schools and in a Children’s Day party which was to be held on October 12th. The party got rained out but the team still was able to minister to 600+ children in two of the public schools we are partnered with. The gospel was preached in word by our team and in deed by the RBC Five. 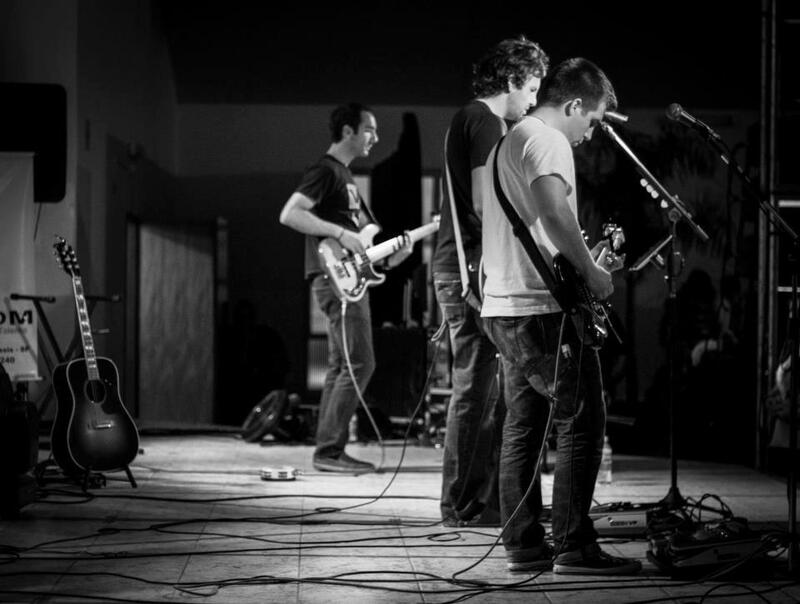 Their example of joyful, sacrificial service, not to mention the music which was an immediate hit, has opened doors for the ministry more than we could have imagined. Since they left, our staff and I have been running non-stop responding to new donors, volunteers and business leaders who want to get involved in what God is doing among the children here. 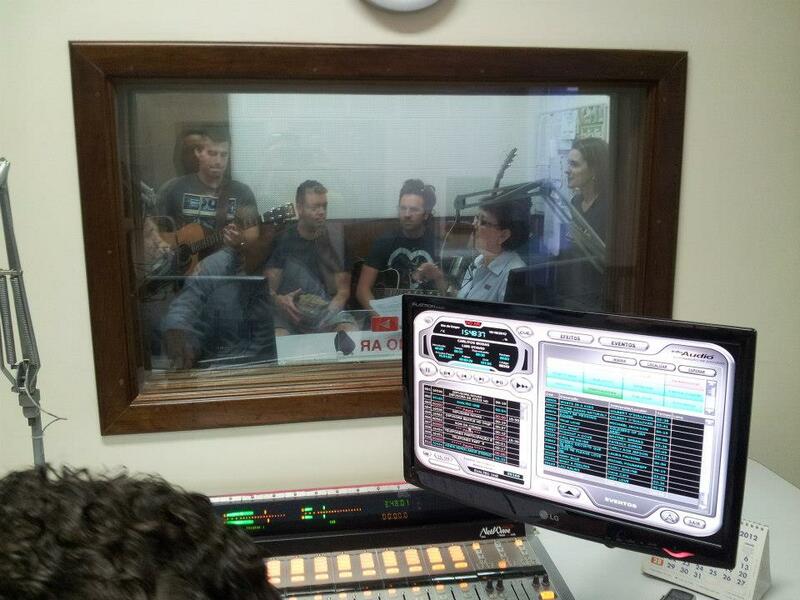 This is the RBC “One Voice” band being interviewed by a radio station in Assis as part of the promotion for Voz & Vida. On behalf of the staff, volunteers and children of Open Arms in Brazil, we have only thanks to give. Thanks to God for bringing this event together, thanks to Reston Bible Church for standing by this ministry and sending your very best to us, and thanks to the team for encouraging our staff here with their music, their laughs, and their example. This is great. Thank you so much for going there all!